We added a TenantId field to Users table, but it&apos;s not defined in UserRow, and not visible in user dialog. This field, should only be seen and edited by admin user. Other users, even if we give them access to users page to manage their tenant users, shouldn&apos;t be able to see or change this information. 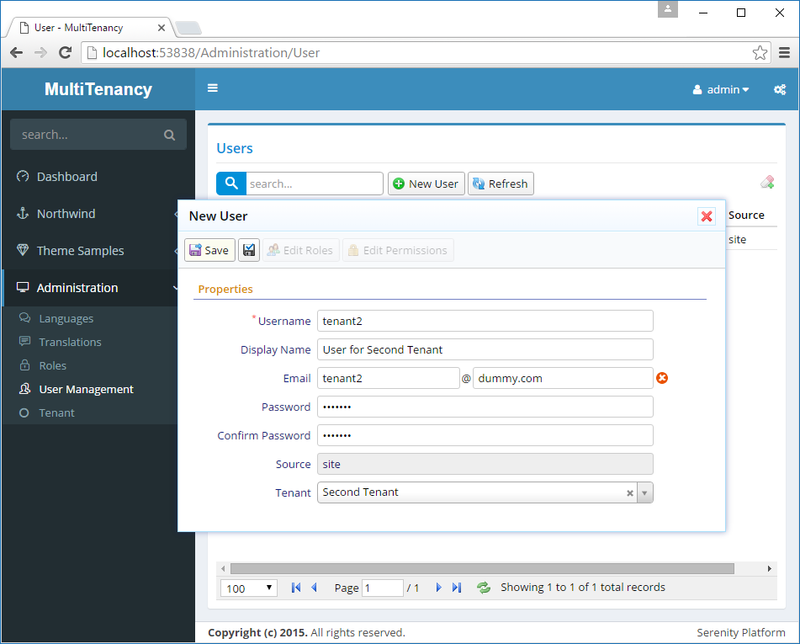 Now open User Management page and create a user tenant2 that belongs to Second Tenant. After creating this user, edit its permissions and grant him User, Role Management and Permissions permission as this will be our administrative user for Second Tenant. Signout and login with user tenant2. When you open User Management page, there may be two different cases you may experience. In first case, tenant2 might be able to open user dialog and change his and any other users tenant. 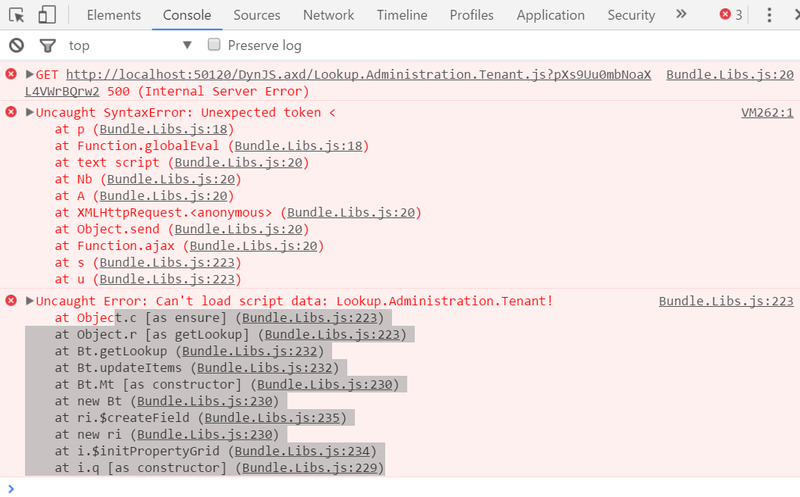 This happens if your browser cached the tenant lookup. In the second case, you&apos;ll see that tenant2 can&apos;t open User dialog. When you click a user nothing happens. This is because, our TenantRow has Administration:Tenants read permission which is inherited by lookup script. We could change read permission for tenant lookup script to something else to resolve this error, but in that case Tenant2 would be able to see and change tenant of himself and any other user including admin. Let&apos;s first prevent him seeing users of other tenants.